ISKCON Lenasia, home of our beloved Lordships, Sri Sri Nitai Gaura-Hari, is a haven for devotees throughout Gauteng. Situated on the main road in extension 9 in Lenasia, the temple holds 4 plots with the main temple room on the top floor of a 2 story building with residential quarters and other facilities below. The heartbeat of the Lenasia temple is the beautiful Deities. An elaborate standard of worship is maintained with numerous offerings and arati’s performed daily for the pleasure of their Lordships. Adjacent to the temple building is the beautiful Tulasi garden which was constructed in 2009. Complete with green house, japa meditation path, benches and green grasses. The garden is an ideal spot for japa, prasadam picnics, or taking a relaxing breather in a spiritual environment. 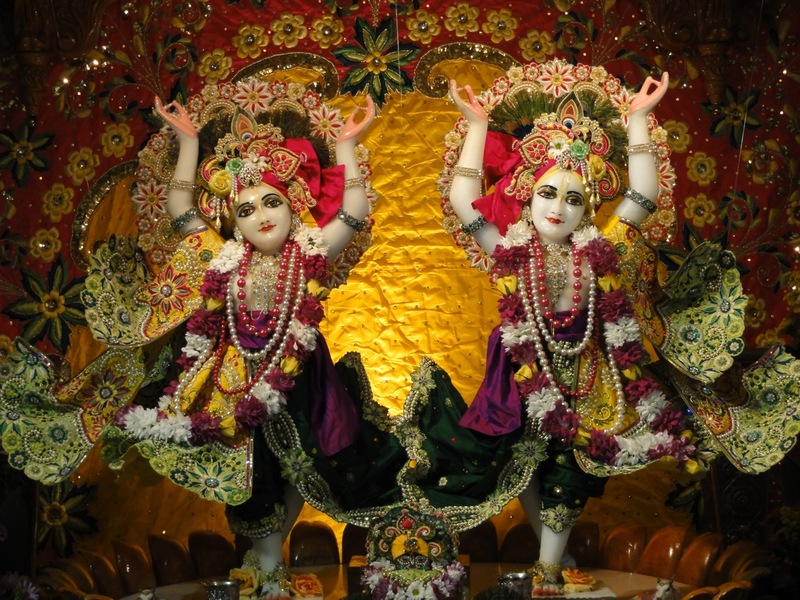 ISKCON Lenasia holds numerous festivals every year that caters for everyone. Janmasthami and the grand Ratha Yatra Festival are the highlights of the year. These festivals are alive with stalls, spiritual entertainment and free sumptuous meals. If the Deities are the heart then the veins are certainly the outreach initiatives taking the mercy of our Lords to the surrounding areas. Every month the Food for Life team gather to distribute sanctified food to the underprivileged and 1000 plates of prasad are distributed. The highlight of the week is certainly the Sunday afternoon Love feast program which starts at 10AM and which also features a fun, activity filled kids program helping them learn more about spiritual culture . It is at this time that the majority of devotees in the community congregate in the temple for the pleasure of Their Lordships and to hear and chant in the association of other devotees and partake of the delicious prasadam that is a famous feature at all ISKCON temples. Hare Krishna Pragnesh. Thank you for visiting. We love for everyone to visit Sri Sri Nitai Gaura Hari and Their devotees. We look forward to your next visit.